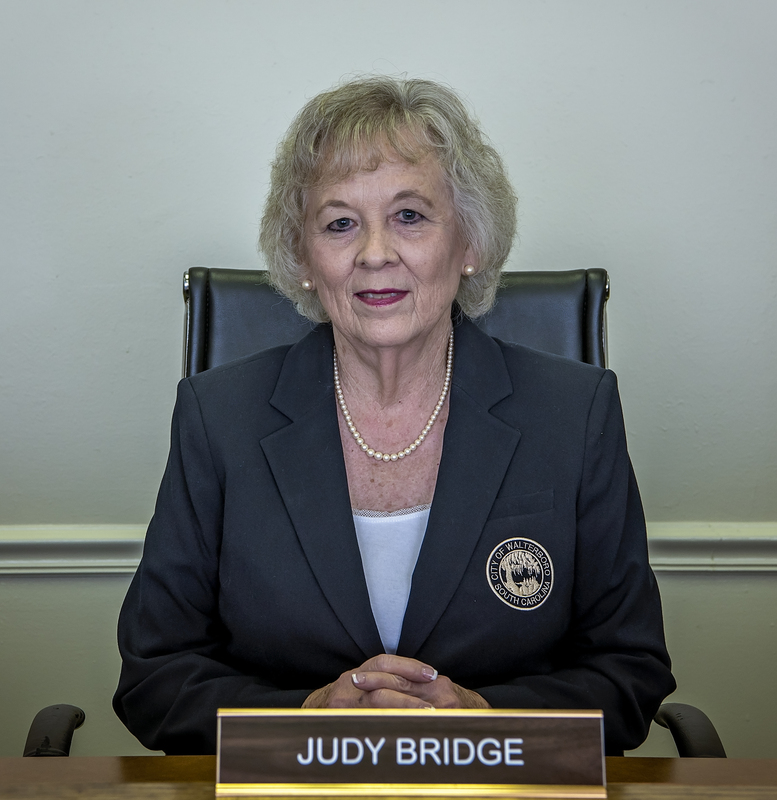 Ms. Bridge is a lifelong resident of Walterboro. She is married to Jack Bridge and they have two children: Scott (Barbara) Bridge and Allyson (Kevin) Griffin, residents of Colleton County. There are six grandchildren: Carlyle, Matilyn, Owen, Lauren, Tommy, and Jacob. She graduated from Walterboro High School, Winthrop University (with a BA degree in English and Sociology and later earned a BSW degree), and The Citadel with a MAT degree. She retired from the Colleton County School District after a total of 38 years in the profession. Ms. Bridge is an active member of First Baptist Church, Walterboro. She serves as chairman of the Stewardship Committee, and is a member of the Celebration Choir, Handbell Ringers, and several study groups. She also sings with the Voices of Colleton. She is a member of the local CCHAPS, Friends of the Library, the Colleton Museum, and the Artisans Center. She is past president of the Dogwood Hills Country Club. Ms. Bridge is an avid supporter of school and community programs, in the areas of education, recreation, and the arts. She served many years on the Municipal Planning Commission also. She was elected in November 2013 to fill the unexpired term of Randy Peters, who passed away. Why serve on City Council? "I take ownership in this town; its environment, its culture, and especially its people. I want to be a part of the decision-making process, and to protect and promote a life-style that is productive for the citizens."